In your web browser, go to the Portas Pass website: www.portaspass.ca. Enter your Account and User Name in the Account and User Name fields. Tip: You can find these in the Teraview Login window. On the User Verification screen, answer the three security questions. Note: These answers are not case-sensitive. From the Password Administration options, select Reset Password. Following the Password Rules, enter and confirm your new password. Use your new password the next time you log into Teraview. 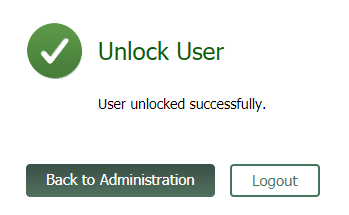 From the Password Administration options, select Unlock Password. Note: You must request the new token from your Account Holder Representative. From the RSA Token Administration options, select Replace Token. Follow the steps to activate your hard or soft token. 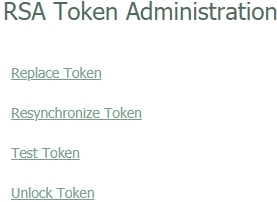 From the RSA Token Administration options, select Resynchronize Token. From the RSA Token Administration options, select Test Token. From the RSA Token Administration options, select Unlock Token. Your token is unlocked and you can now use it to sign in Teraview. Wait 30 minutes and try logging in again to the Portas Pass website: www.portaspass.ca.